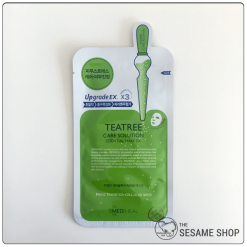 Individually packed sleeping mask for soothing and repairing the skin overnight. 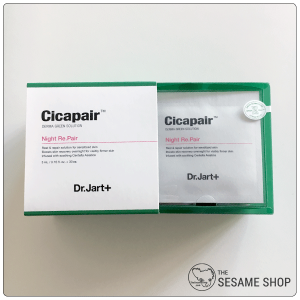 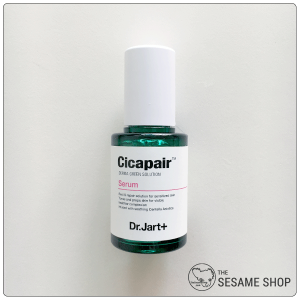 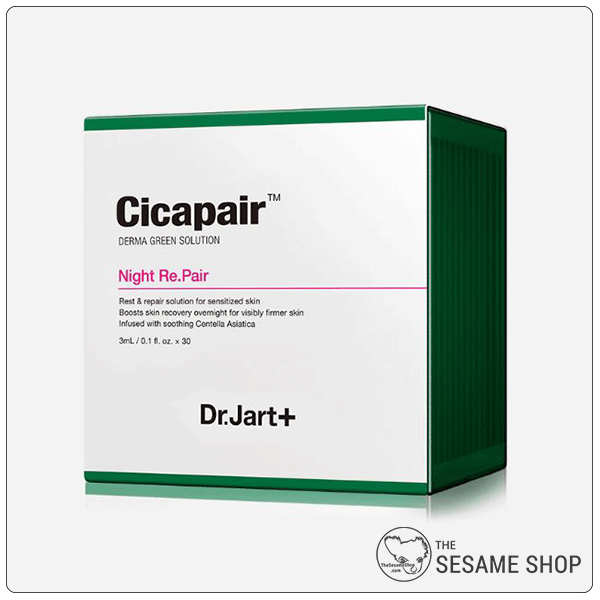 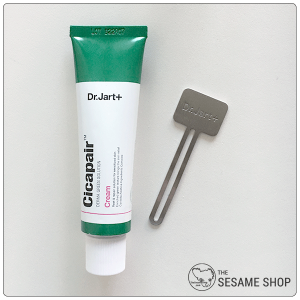 Dr Jart+ Cicapair Night Repair Mask is the last step of your acne skincare routine. 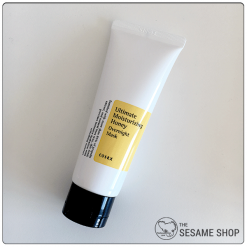 It wraps around the face, locking in the serum and cream treatment that you’ve applied earlier, forming a thin film on the skin surface, preventing moisture loss and dehydration overnight. 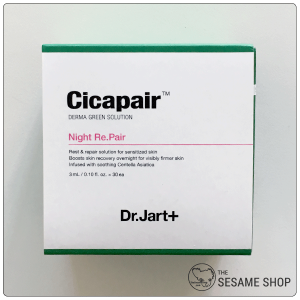 Similar to the other two products in the Cicapair series, the Night Repair Mask is formulated with Centella Asiatica Complex (Madecassoside, Madeecassic Acid, Asiaticoside, and Asiatic Acid) to effectively reduce inflammation and helps the healing process of acne. 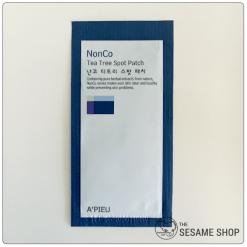 The individual packaging ensures hygienic application and prevents any cross-contamination that may be possible. At the end of your skincare routine, tear open a packet of Dr Jart+ Cicapair Night Repair Mask and apply all over the face. 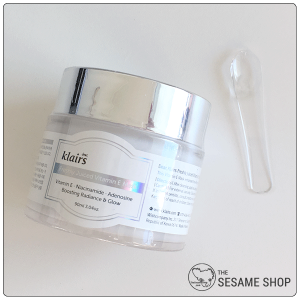 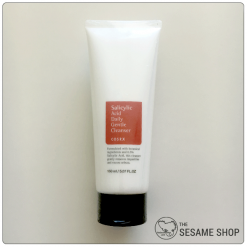 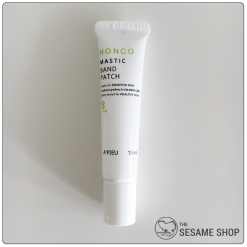 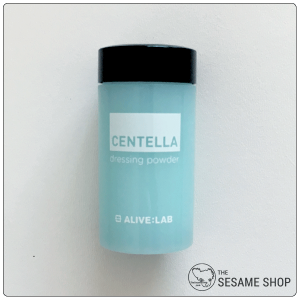 Gently spread out into a thin layer covering the entire face. 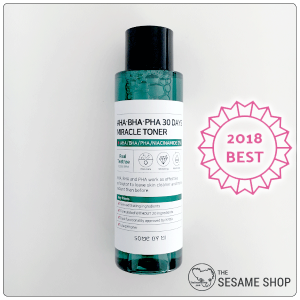 Water, Cantella Asiatica Leaf Water, Glycerin, Propanediol, Cyclopentasiloxane, Dimethicone, Butylene Glycol, lsododecane, Cetyl Ethylhexanoate, PEG-1 O Dimethicone, Niacinamide, Cetyl PEG/PPG-10/1 Dimethicone, Caprylic/Capric Triglyceride, Magnesium Sulfate, Bis-PEG/PPG-14/14 Dimethicone, Disteardimonium Hectorite, Propylene Carbonate, Phenoxyethanol, Chlorphenesin, Lavan du la Angustifolia (Lavender Oil, Citrus Grandis (Grapefruit) Peel Oil, Melia Azadirachta Leaf Extract, Sodium Benzoate, Rosmarinus Officinalis (Rosemary) Leaf Oil, Asiaticoside, Asiatic Acid, Adenosine, Potassium Sorbate, Disodium EDTA, Melia Azadirachta Flower Extract, Madecassic Acid, Anthe mis Nobilis Flower Oil, Theobroma Cacao (Cocoa) Extract, Dextrin, Gentelia J\.siatica Meristem Cell Culture, Silica, Aniba Rosaeodora (Rosewood) Wood Oil, Alcohol, 1,2-Hexanediol,Spirulina Platensis Powder, Gentelia Asiatica Extract, Houttuynia Cordata Extract, xanthan Gum, Polysorbate 20, PEG-8, Caprylyl Glycol, Helianthus Annuus (Sunflower) Seed Extract, PPG-1-PEG-9 Lauryl Glycol Ether, Achillea Millefolium Extract, Artemisia Absinthium Extract, Amica Montana Flower Extract, Gentiana Lutea Root Extract, Hedera Helix (Ivy) Leaf/Stem Extract, Sodium Glycerophosphata, Phytic Acid, Madecassosida, Selaginella Lepidophylla Extract, Potassium Magnesium Aspartate, Cibic Acid, Sodium Polyacrylate, Magnesium Gluconata, Calcium Gluconate.